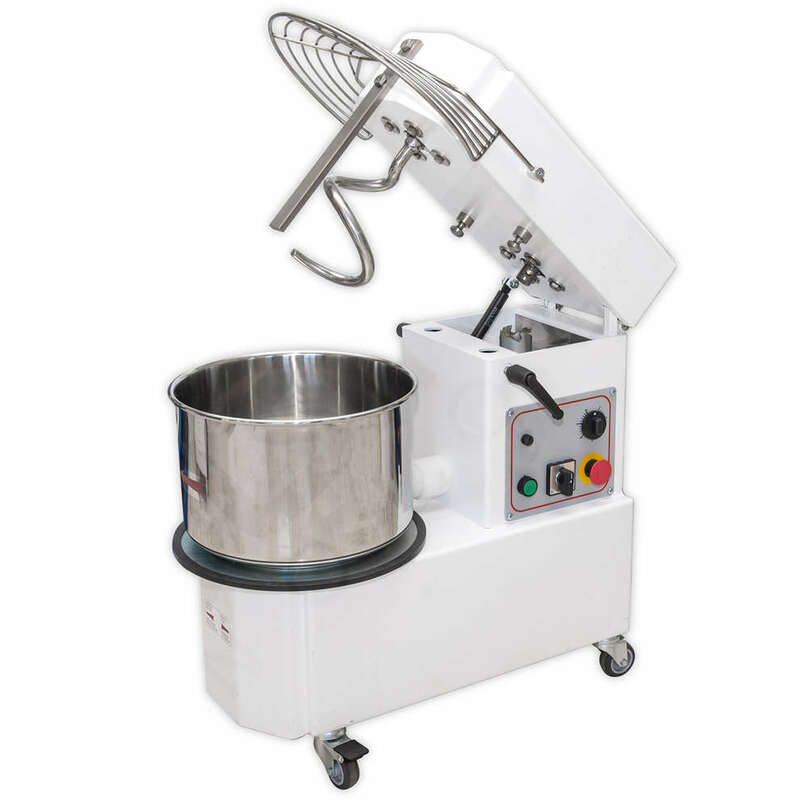 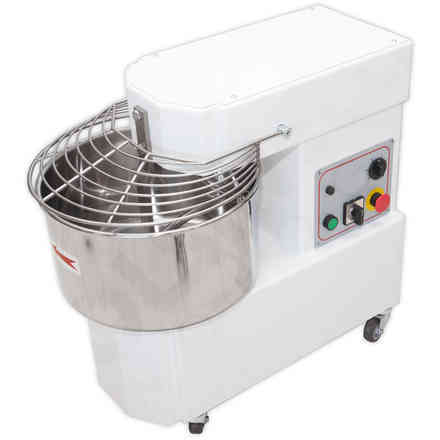 An ideal machine for bread and pizza dough, confectioners and bakeries. 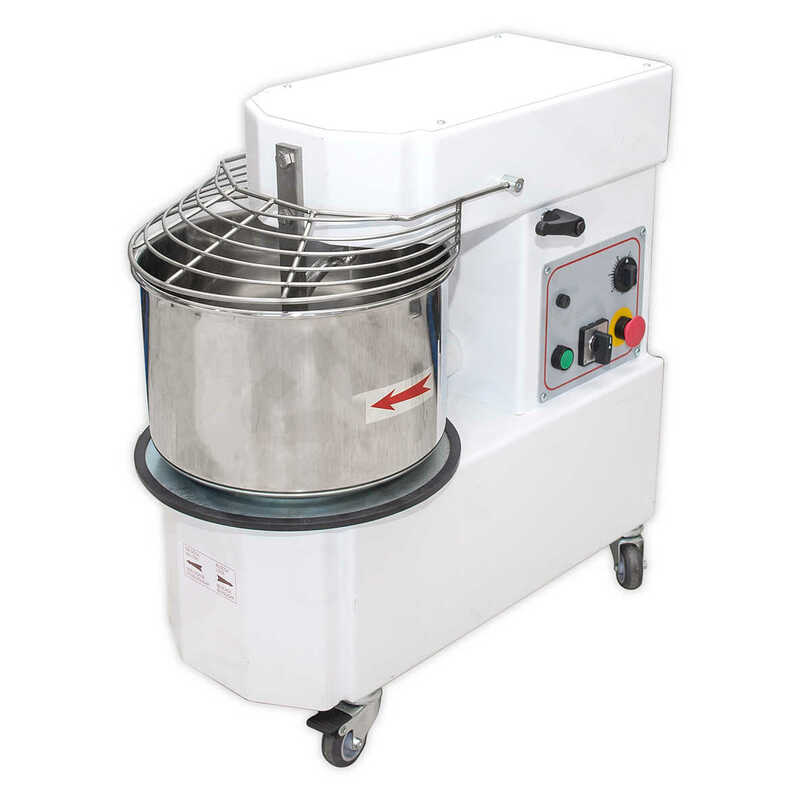 The particular shape of the spiral allows minimum processing time without overheating the dough. 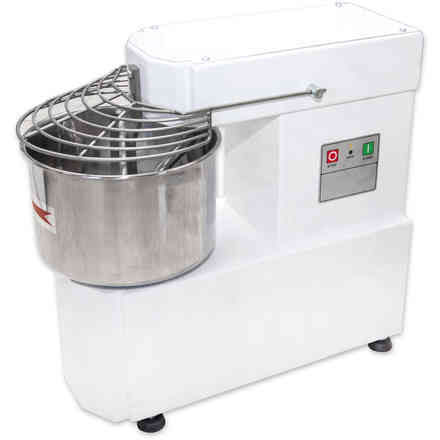 The frame is made of sturdy steel to eliminate any vibration during operation. 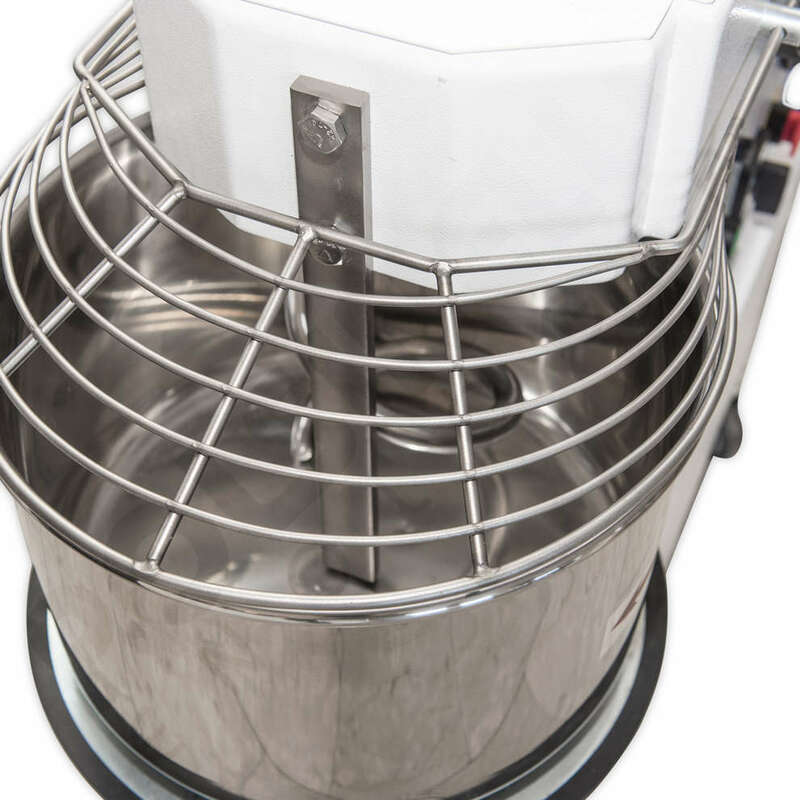 The bowl, the spiral, the central shaft and the protection cover are all made of stainless steel. 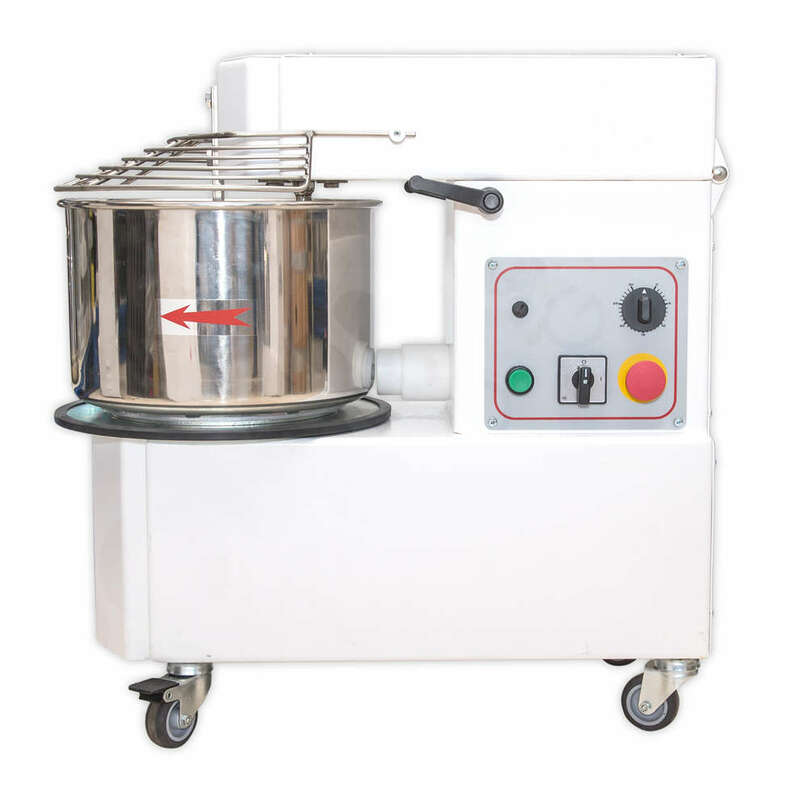 Chain drive with oil bath lubrication of geared motor. 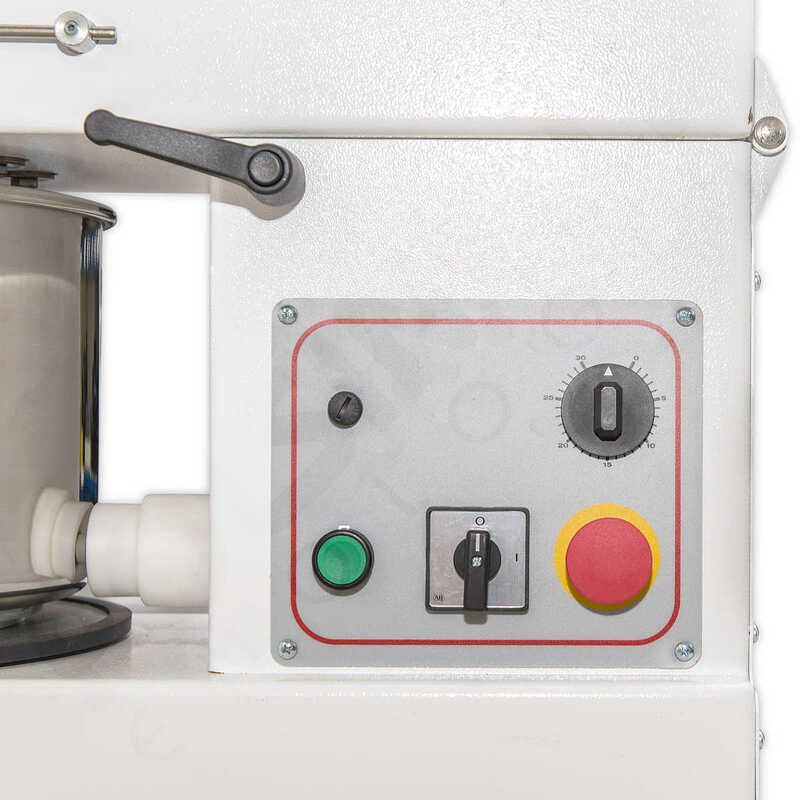 All kneading machines are complete with four wheels, two of which with brakes. 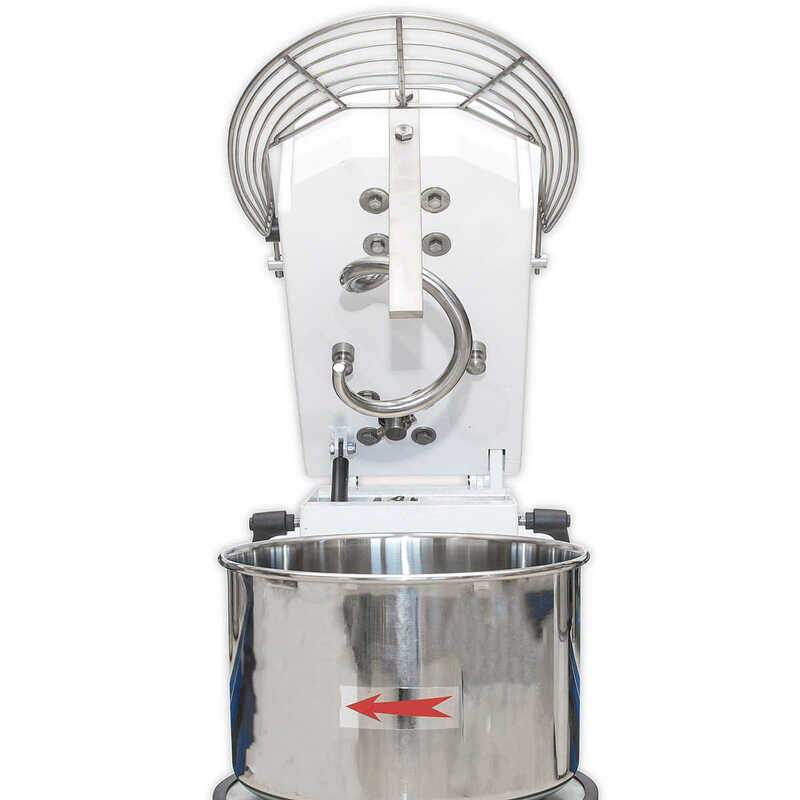 Liftable head and removable bowl.